Oh, yeah, Groove-ophiles! 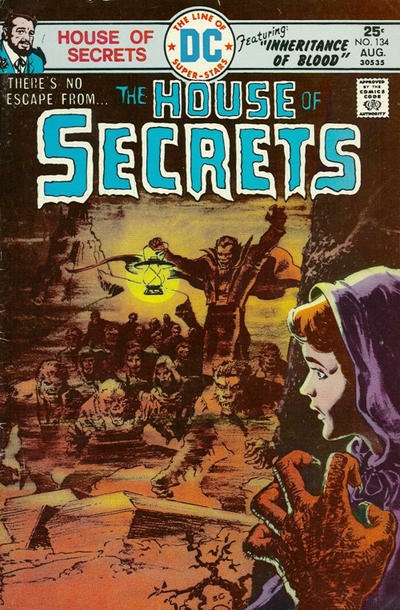 House of Secrets had some sensational covers during the Groovy Age! 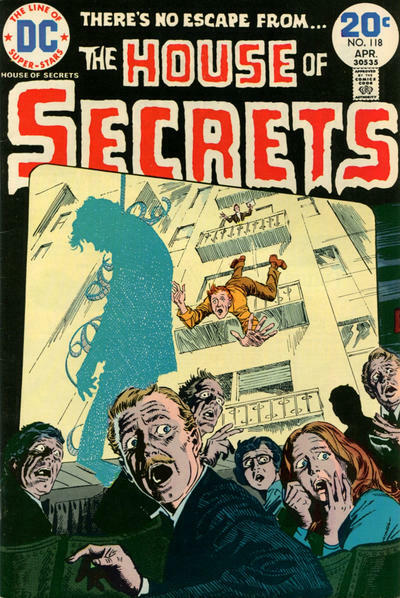 Artists like Neal Adams, Bernie Wrightson (if you wanna see more of his HoS covers, click here), Mike Kaluta, Jack Sparling, Luis Dominguez, Ernie Chan, and Jim Starlin shocked, startled, and scared us out of our loose change--and we loved it! 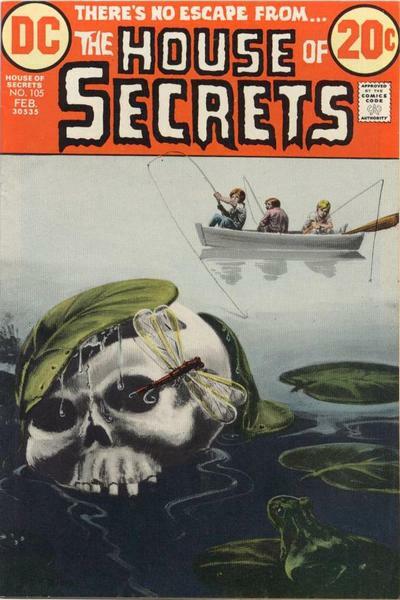 Here are 13 of Groove's favorite covers from HoS! 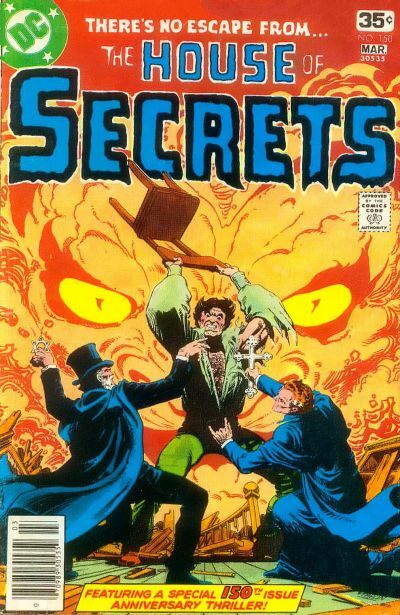 I'm amazed DC & Kaluta weren't sued for plagiarism. Escher's work is world famous. 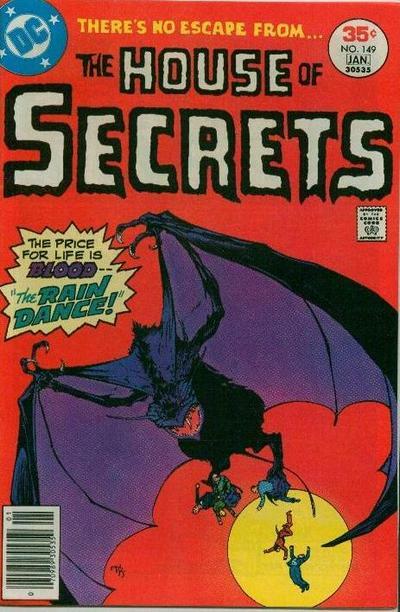 Certainly Kaluta was paying homage to that image - but but its nowhere near close enough to be considered plagiarism. Its quite easily different enough to be safe. 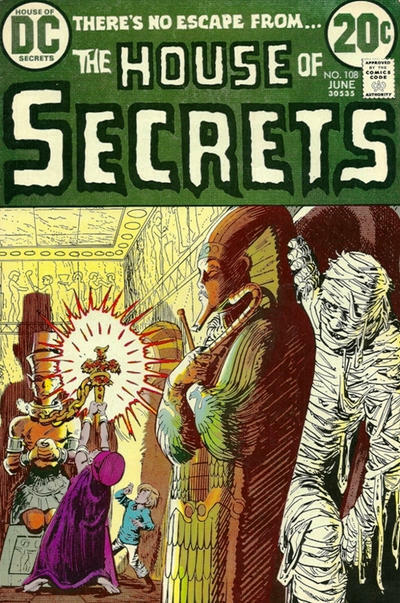 I like the fact that the artist was in the midst of drawing a comics page when the startling revelation came that he was being watched. 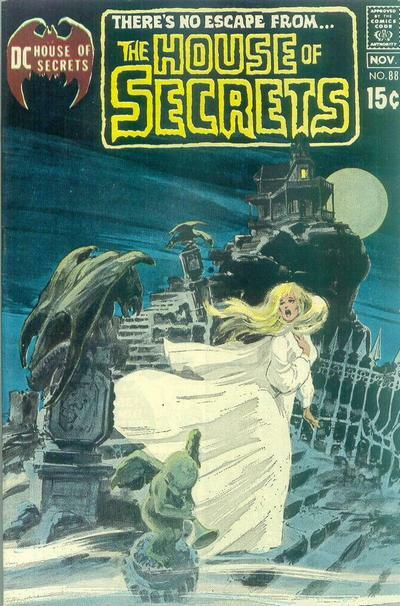 Kaluta subsequently watercoloured the original art. 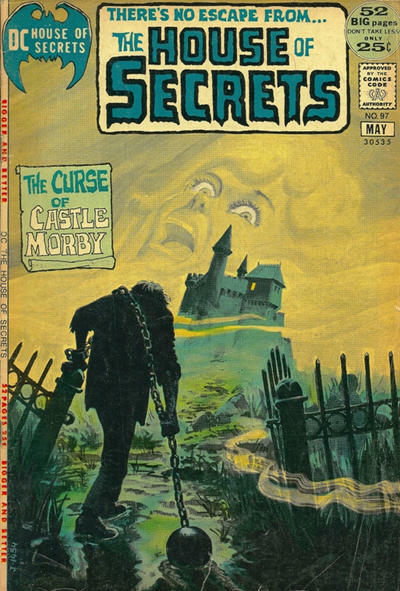 I have seen it for sale at cons. How much was it going for? A small fortune, doubtless. I didn't see a price on it. 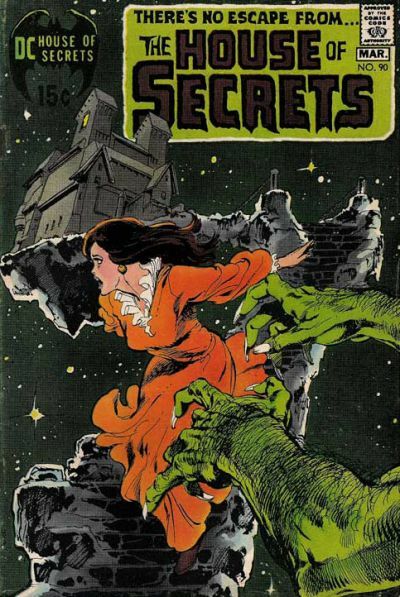 I've seen the original art for Wrightson's HoS 92 (at Metropolis Collectibles in NYC), but can't find the original cover art for 94 in which he also utilised ink wash. One day a scan will turn up. 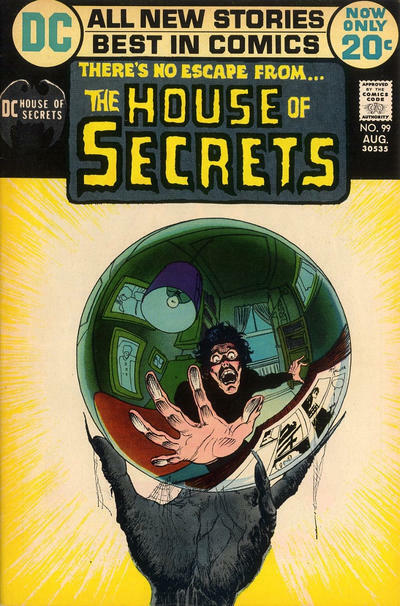 Miss the golden days of House of Secrets where one could look forward to cover masterpieces by Adams, Kaluta, Wrightson (you missed one of his best: HoS # 96. Probaby second only to his Swamp Thing cover). 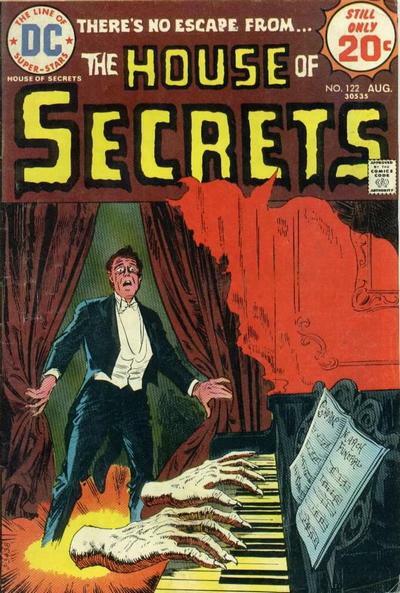 Things declined markedly when DC decided to save money and started using Luis Dominguez' rushed, unimaginative covers. But I guess that why the earlier covers are so prized now. 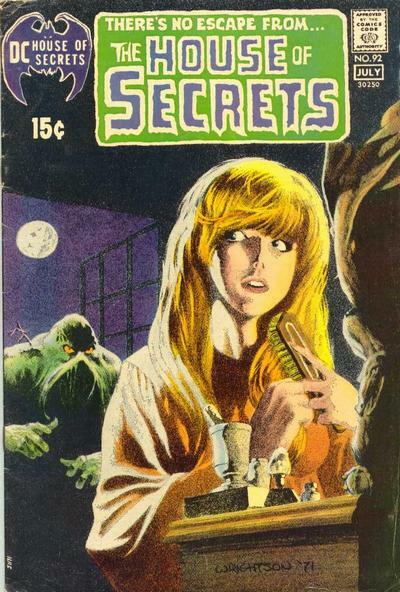 I also loved the gorgeous printing of those pre-1975 books. 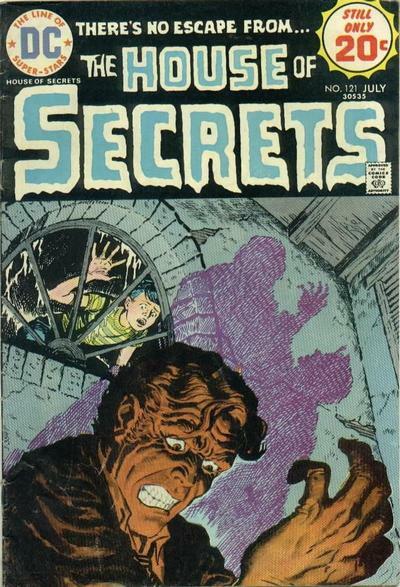 Didn't miss Wrightson's cover for #96; just follow the link to the Wrightson HOS post in the text.